Reliability is the key to a successful switchboard, requiring accurate, thorough design and an expert eye to ensure compliance with the latest switchboard standards. We at DaRa Switchboards understand that every situation – and therefore every switchboard – needs a unique approach, which is why we make sure our modular switchboards never inhibit the needs of the customer. If finding the perfect modular switchboard for your business is proving a challenge, then look no further – DaRa Switchboards embraces custom-design methods and a streamlined manufacturing process to meet your delivery and quality requirements. Reliability, crafted by expert eyes. It isn’t enough for switchboards to work. They have to work precisely, every single time. Reliability may not sound like an exciting quality, but when it comes to switchboard systems, it’s the most important one of all. But reliability doesn’t come naturally. It takes accurate, thorough design and an expert eye to craft reliable systems that are also fully compliant with the latest switchboard standards. At Dara, we understand that whilst reliability is essential, it also means understanding that every situation – and therefore every switchboard – is different. There is no single solution, every customer and every circumstance needs a unique approach, which is why we make sure we work closely with our customers to design systems that fit into their business seamlessly. If finding the perfect, reliable modular switchboard for your business is proving a challenge, then work with us – We know how important ‘Reliability’ is to our customers, so we embrace the kind of custom design methods and streamlined manufacturing that ensure we can provide reliable, effective systems that meet your requirements, both in quality and delivery time. As a licensed panel builder for Eaton, Dara Switchboards Offers xEnergy a state-of-the-art solution for Power Distribution and Motor Control in a single low voltage platform. The innovative Dara design combined with Eaton’s expertise in the area of low voltage applications delivers a platform that is at the heart of any power distribution and motor control application. The flexible system maximizes safety and uptime and offers maximum flexibility with multiple possibilities for fixed, plug-in, removable or fully with-drawable sections, with accessibility for front and/or rear access. Maximize uptime by preventing unscheduled process interruptions and minimize downtime. 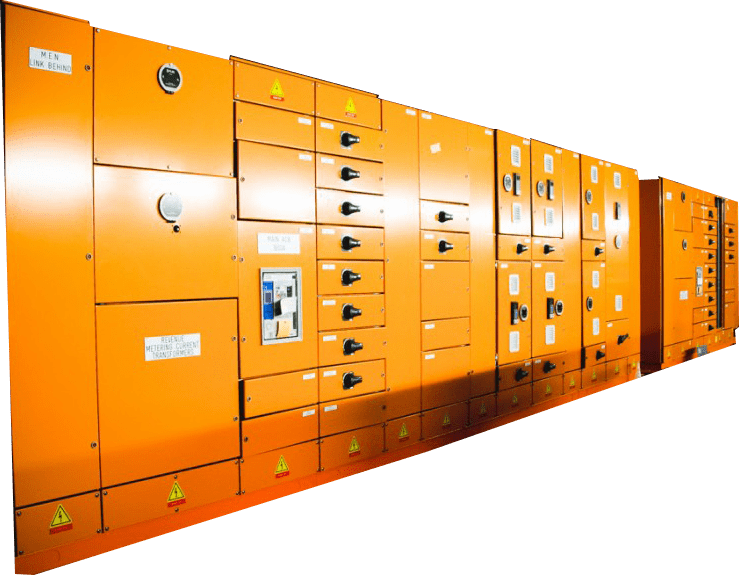 We construct our modular switchboards for any form of separation, from Form 1 which has no separation at all, to Form 4B, which is designed with separation of busbars and all functional units, alongside a partition of all outgoing terminals. Whether we’re constructing a motor control centre (MCC) or a mains switchboard (MSB), all our custom switchboard designs are achieved via active communication, not only between the teams here at DaRa, but with you, our customer. We pride ourselves on our customer relations, as giving you the product you need is key to the success of our business. Upon receipt of your order, our innovative design engineers start putting the modular design together based on your requirements. We consider everything from cable size, cable entry direction and switch room size restrictions to your supply authority. 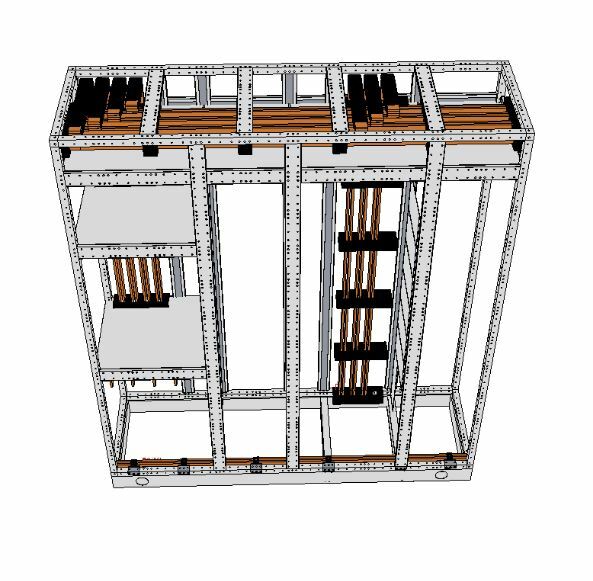 We then use 2D and 3D design tools to accurately draft the most beneficial and efficient modular switchboard design for you, which is then sent to you for approval. At this point, you’ll be allocated a project manager who will oversee the entire manufacturing process and ensure that the finished product meets your specifications. Prior to delivery, it will be tested and go through QA to guarantee the DaRa standard. Are you planning to switch to a DaRa modular switchboard? If you’d like to find out how a DaRa modular switchboard could benefit your business, or to request a price for a new modular switchboard, call our sales team on 03 8544 3300, send an email to info@dara-switchboards.com.au, or complete our online contact form, and we’ll get back to you as soon as possible. Dara is a switchboard manufacturing company based in Melbourne. We sell switchboard gear online such as switchboard escutcheon, switchboard enclosures, meter panels & more. Switchboards, built to last from a team that work into the future. Switchboards are meant to last. They’re meant to be the one thing you never need to think about, but that’s not always the case. Many companies come to us after their switchboard systems have let them down within just a few years. To us, that’s simply unacceptable. With a projected service life of 25 years, a switchboard designed and constructed by Dara Switchboards today is built to last and guaranteed to meet the latest requirements of any industry. We are fully compliant to the latest Switchboard standard – AS/NZS 61439.1 – for our high current modular switchboards. The thing that really helps us ensure quality, at every step, is our location. Every department of Dara Switchboards operates from within the same site, which means we’re able to help and support each other, providing greater control and efficiency in delivering projects on-time and within budget. 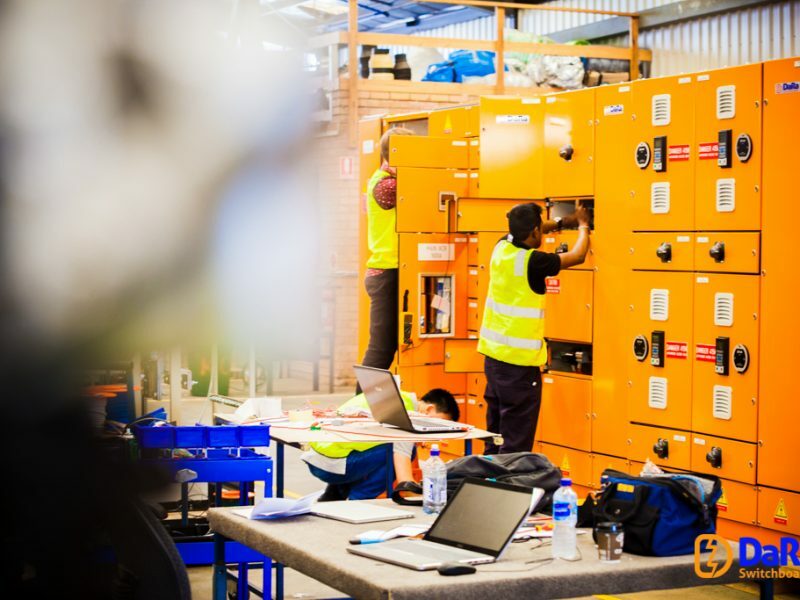 Plus, as everything is built in-house, we can provide an extended range of custom services including sheet metal fabrication, powder coating and the custom assembly and wiring for modular switchboards. Our expert team of engineers are dedicated to providing the best and most current solutions for our clients, incorporating cutting-edge electrical design and swift manufacturing times to deliver high-quality products. To discover the full range of features offered by DaRa Switchboards, take a virtual look at our facility online.